The Roman Catholic Diocese of Tshumbe is located 560 miles from Kinshasa, the capital of the Democratic Republic of the Congo. 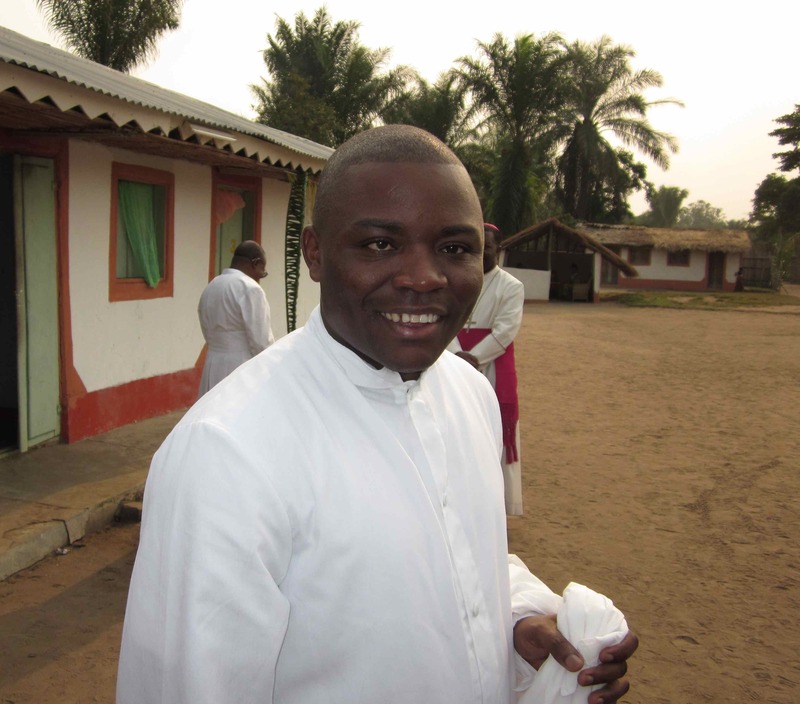 Father Albert Shuyaka is a priest of Tshumbe who studied at St. John’s Seminary in Camarillo, California. During his studies, he made many friends in the USA. 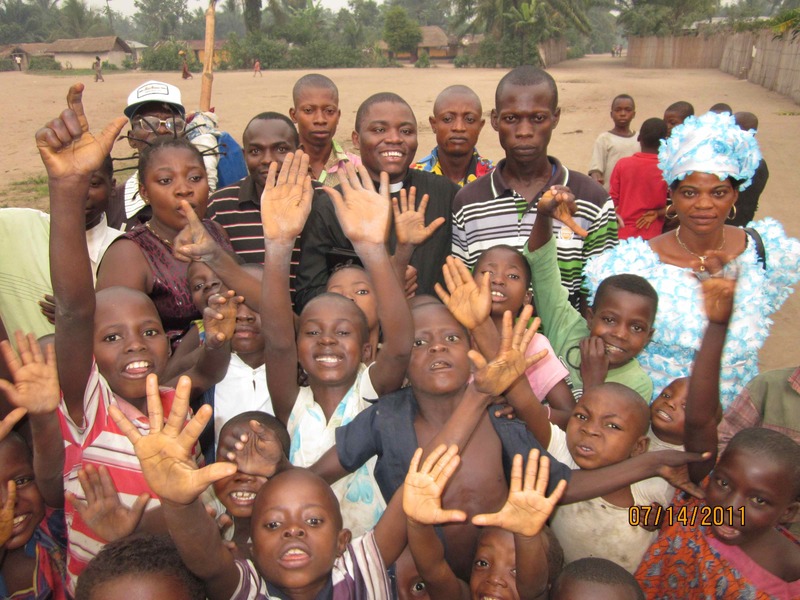 After his graduation in 2011, he returned to the Congo to begin his ministry. This website is sponsored by his friends who want to spread the word about his ministry and the needs of the Tshumbe people. Father Albert Nkoy Shuyaka on the morning of his ordination, July 17, 2011. I hope all is well with you as it is with me here in the Congo. I have had a few bouts of malaria but my body is getting used to it. Bats enter my bedroom in the evening to eat mosquitoes, so nature is taking care of me. With the rain these days it gets very muddy, but life is better than it was in the dry season in July. I am preparing to teach at the Seminary of John Paul II (in Lodja) and at Notre Dame University (in Tshumbe). Initially I was supposed to teach two subjects at the seminary but they asked me if I could take four. At the university I will begin teaching English on Monday. I will have over two hundred students – I wonder how I will grade their papers! I am also pleased with my high school students because most of them pronounce English very well. Today one said: “My English teacher is short and he has a big head.” She couldn’t have been talking about me because I do not have a big head – at least, not the last time I checked. Here in Tshumbe, Lodja and Wembo Nyama, the only way to even think about being successful in life is to go to school. This means that whoever is not “school-smart” is doomed. Many young men and women have various skills but the social system disfavors them. Some will end up being alcoholics and be definitely outcast. Thanks to my internship at Boys’ Town, I know that there is no such a thing as a bad boy. I shared my concern for these young men and women with my aunt, Sister Catherine, whom some of you met in the USA. We decided to extend the work of the Marie-Catherine Center to help these young people. I invited seven of them on Tuesday and our conversation went very well. Here in the Congo, we have very big trees that can produce a lot of timber but we are not using them. I am now dreaming about how to get some heavy-duty saws with which we can cut trees and make timber. The young people will learn how to make chairs and other furniture and sustain their own lives. I even got a volunteer who is willing to train them. Children of Lodja near the house of Albert’s brother, Paul. The Marie-Catherine Center is getting bigger and needs a house. It is where we will be centralizing all the activities. The young men can cut the trees and prepare the lumber. They can build a framework for the house. The young unwed women can plaster the walls with mud. I hope to get iron sheets and nails to cover the roof. With 100 or 150 iron sheets (around $1,500 or $2,000) we can save lives and offer dignity to the young people. It will serve the youth so much. We will also have to move the young women, the “filles meres,” to the Marie-Catherine Center. I learned from my aunt today that there are 50 “filles meres” all from the neighboring villages and from Tshumbe. I did not expect such a big number! Many of them are back to school thanks to the help we got from your contributions. I hope they succeed! This fall semester, we are supporting many kids with school fees and uniforms. We have targeted six students at the Notre Dame University of Tshumbe who will benefit from Marie-Catherine Center. The center will support half of their $500 annual tuition if we are able to do so. It has been working with young unwed mothers and this has been successful so far. We wish we had more sewing machines for them. Some have been able to go back to school others are working on other skills. I am very proud of this leg of the program. 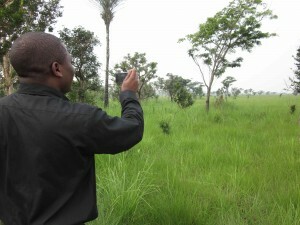 Albert photographs the savannah near Okolo. About the Catholic Foundation of Eastern South Dakota, some of you have asked if I receive all of the donations that you send to Barbara Buckmiller in Sioux Falls. Let me tell you that Barb sends me one hundred percent and there is nothing to fear. The foundation just volunteered to help. I give thanks to those who helped. You are saving lives! Thank you again.